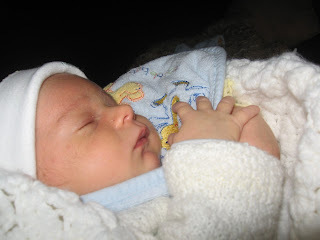 Last October, in a very cold afternoon, my husband and I were blessed with the arrival of our little angel, Santiago. The joy and wisdom that Santi has brought to our lives have been indescribable and crucial to our daily dealing with Xanthogranuloma (JXG). At around his 4th week of life, I noticed two tiny pink spots by Santiago’s right eye that did not look like the rest of his regular “baby acne” and a big “red bump” in his head the size of a raisin. After asking my husband and mother-in-law about them (no one remembered bumping the baby’s head into anything), I decided to make a doctor’s appointment. Fortunately, our pediatrician saw us that same afternoon and she agreed that “those tiny pink spots” were not baby acne and told us not worry about the bump. As she has a lot of experience, I did not like at all that she did not recognize the spots right away, but before I could say anything, she told us to wait to have another colleague take a look at them. After a few minutes, the new doctor (whose husband is a dermatologist), came and gave her opinion: “mmm….this look like a skin condition that a patient of my husband had. I do not remember the name of it but it is usually benign and generally goes away by itself by school age”. I almost had a heart attack! What was this lady talking about? Once again, my face must have shown such a horror that before I could open my mouth, our pediatrician told us that she would make a referral to the Dermatologist Department at Nationwide Children's Hospital in Columbus. Before we left, she explained that since the spots were not a life threatening condition, it could take a while until we got in for the appointment. *My most sincere gratitude to Dr. Gray who has always taken care of Santiago with uttermost love and excelent medical diligence.